Description: CNU American Red Cross Club provides volunteer opportunities to help make a difference by addressing our community's greatest needs and developing leadership skills. Our main focus is to help provide a sufficient blood supply for our community hospitals by sponsoring blood drives on campus throughout the year. Description: Be the Match On Campus at Christopher Newport University is part of the National Marrow Donor Program. The national organization matches patients, often with blood-diseases and in need of bone marrow, with potential bone marrow donors. As an on campus chapter at CNU, our organization holds drives to register potential donors, educates the public on new methods of donating bone marrow and the different types of blood diseases, and fund raises for proceeds to go towards research, patients, doctors, and transplants. The chapter at CNU was originally founded by sisters Kelsey and Jocelyn Rooks. The first drive held in March 2009 at CNU was inspired by Bruce, a neighbor diagnosed with Acute Myeloid Leukemia. The club was named: In Memory of CBC: Be the Match! It was officially an organization in Spring 2011. In Fall 2013, the organization was renamed Be the Match On Campus as an official chapter of the national Be the Match organization. Description: Colleges Against Cancer is a student run organization sponsored by American Cancer Society. Every year we not only raise awareness for cancer research but also host a series of events to raise money for cancer research. The largest and most well known of our events is Relay for Life. Last year CNU's Relay for Life raised over $50,000.00 for cancer research and brought out approximately 1,500 students and faculty. 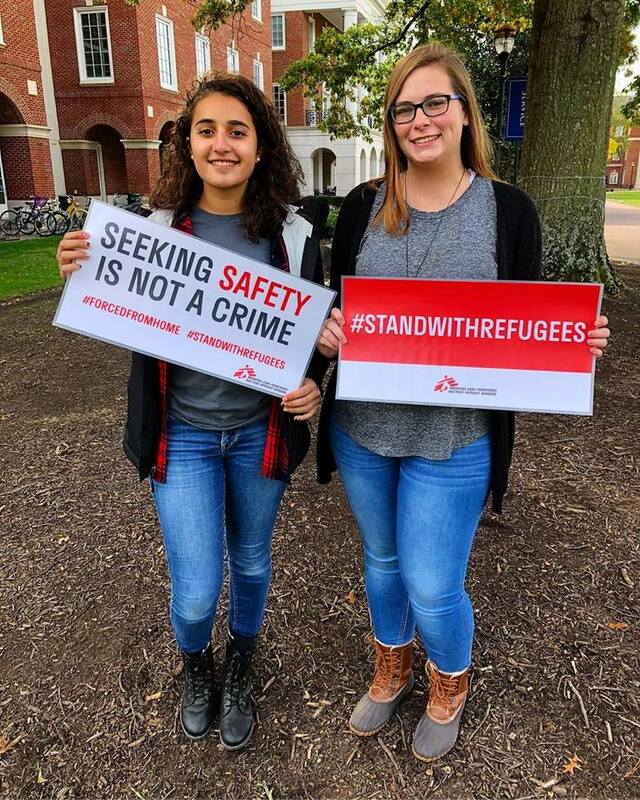 Description: MSF at CNU will help create spaces in which people can learn about, support, and advocate for the work of MSF-USA, through a variety of events and actions including, without limitation, meetings, film-screenings, fundraisers, guest speakers, advocacy. Description: A charter of the Student Veterans of America, the organization is dedicated to helping active military and student veterans by providing guidance with GI Bill or Tuition Assistance (TA). Working with the registrars office, we help by making sure all the proper paperwork and forms are filed. We also seek to connect all active military and student veterans to provide a support group of like-minded individuals. The organization is also dedicated to helping all active military and veterans in the community. One does not have to be or have been in the military to join the organization.